Your telephone is one of the most important business building tools in your business… but are you harnessing its full marketing potential? Our research suggests that many businesses, and their staff, take their telephone for granted. Sometimes they even consider it a nuisance! Yet modern telecoms technology, such as mobile sims, 0800, 0844, 0845, 0330 and 020 VGN Marketing Numbers or Virtual Office Call Manager services, enable you to do so much more with your telephone. The fixed line office telephone was the most important communication tool in business – for say almost 50% of small businesses. Times have changed, the smart phone has taken over, but are you getting the best from your mobile phone. Do you regularly find calls or costs that are not included on your bill. Want to change that? Then ring us on 08008830663 (free from your mobile, in the UK) and we’ll answer, if we’re busy please leave a message we will return your call. Learn why Linctel’s different. Do you want to raise your profile in the market place? Do you want to beat the competition? Do you want to increase your customer retention rate? Do you want lower phone bills? New Rates! 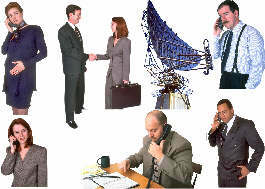 Do you want to call friends, relatives or business associates abroad for surprisingly little? Do you want more information on how Linctel can help your business grow? Why should you choose Linctel? Contact Linctel to set up your new marketing telephone numbers or to make a an appointment to talk.